In friendships fragrant garden, there are flowers of every hue, each with it’s own fair beauty and its gift to you. Happy Birthday to Maureen, Rick and all my summertime friends. This marks the beginning of new altered book. 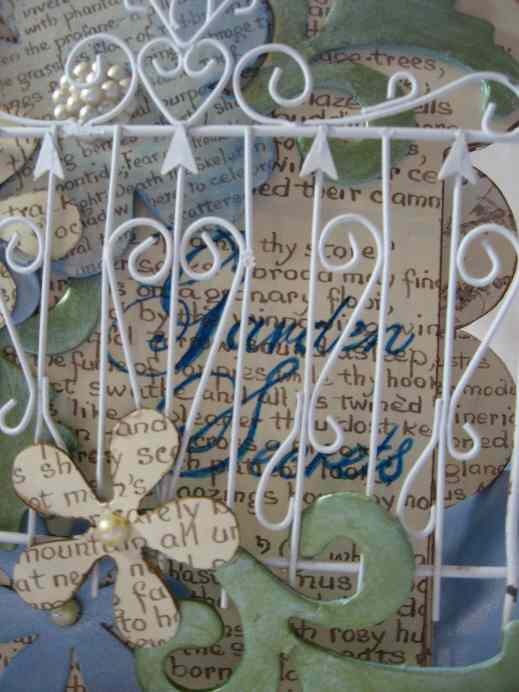 I think the title may change from Garden Secrets to Beyond The Garden Gate. Waiting to see how the last page turns out before we commit to changing the cover. Will post more over the coming weeks as pages come to life. Wow, Mandy, that is so innovative!!!! what a surprising cover, I LOVE it! I always enjoy your art!! Always so beautiful! OH what a great book! Do I ever have a card for you if you want for the book! I think you saw it on my blog. 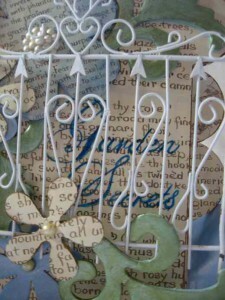 Email me if you want to swap a card for my garden gate card. Nice blog! 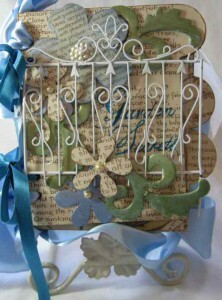 Your altered book is amazing! Can’t wait to see more! Wow! Incredible work…you are always coming up with something so beautiful and new….